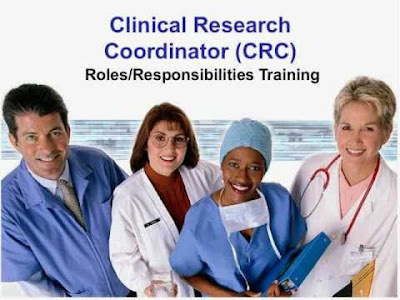 Job Description: Plan, direct, or coordinate clinical research projects. Direct the activities of workers engaged in clinical research projects to ensure compliance with protocols and overall clinical objectives. May evaluate and analyze clinical data. Negotiation – Bringing others together and trying to reconcile differences. Management of Material Resources – Obtaining and seeing to the appropriate use of equipment, facilities, and materials needed to do certain work. Science – Using scientific rules and methods to solve problems. Medicine and Dentistry – Knowledge of the information and techniques needed to diagnose and treat human injuries, diseases, and deformities. This includes symptoms, treatment alternatives, drug properties and interactions, and preventive health-care measures. Biology – Knowledge of plant and animal organisms, their tissues, cells, functions, interdependencies, and interactions with each other and the environment. Persistence – Job requires persistence in the face of obstacles. Independence – Job requires developing one’s own ways of doing things, guiding oneself with little or no supervision, and depending on oneself to get things done. Analytical Thinking – Job requires analyzing information and using logic to address work-related issues and problems. Social Orientation – Job requires preferring to work with others rather than alone, and being personally connected with others on the job. Innovation – Job requires creativity and alternative thinking to develop new ideas for and answers to work-related problems. Independence – Occupations that satisfy this work value allow employees to work on their own and make decisions. Corresponding needs are Creativity, Responsibility and Autonomy. Working Conditions – Occupations that satisfy this work value offer job security and good working conditions. Corresponding needs are Activity, Compensation, Independence, Security, Variety and Working Conditions. Achievement – Occupations that satisfy this work value are results oriented and allow employees to use their strongest abilities, giving them a feeling of accomplishment. Corresponding needs are Ability Utilization and Achievement. Recognition – Occupations that satisfy this work value offer advancement, potential for leadership, and are often considered prestigious. Corresponding needs are Advancement, Authority, Recognition and Social Status. Relationships – Occupations that satisfy this work value allow employees to provide service to others and work with co-workers in a friendly non-competitive environment. Corresponding needs are Co-workers, Moral Values and Social Service. Support – Occupations that satisfy this work value offer supportive management that stands behind employees. Corresponding needs are Company Policies, Supervision: Human Relations and Supervision: Technical.